April is Distracted Driving Awareness Month, as designated by the National Safety Council (NSC), and auto insurers join the national campaign to remind the country that distracted driving crashes can be prevented by modifying driving habits and strengthening auto safety laws. The NSC reports that motor vehicle deaths surpassed 40,000 for the second consecutive year in 2017. The estimates from the NSC show 4.57 million people were seriously injured in auto crashes. “Distracted driving — and the ubiquitous use of smartphones behind the wheel — is one of the leading causes for the rise in vehicle crashes nationwide,” said Bob Passmore, assistant vice president of personal lines policy at the Property Casualty Insurers Association of America (PCI). According to software developer TrueMotion, 92% of drivers use their smartphones while driving, and 71% text while driving. “Too many drivers are still texting, talking, surfing the web, and using social media and apps on their smartphones while driving,” said Passmore. “Auto safety is a top issue for auto insurers. We hope the dialogue on distracted driving will continue, and we urge lawmakers and other industry thought leaders to continue addressing the impact of motorist behavior as an important part of the road safety equation,” added Passmore. 1. Avoid distracted driving. Don’t talk, text or use apps while driving. Put the phone down and just drive. 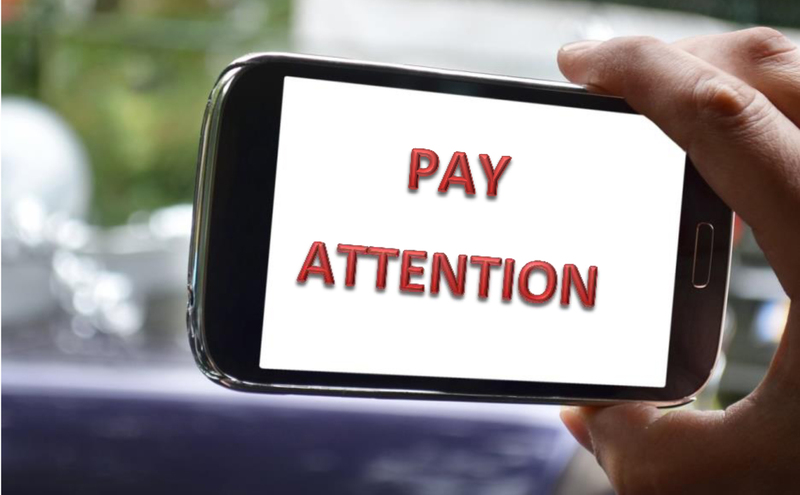 Try to limit other distractions, such as eating or fiddling with controls, and be aware that having more passengers in the car multiplies the opportunity for distraction. Secure pets in the back of the car. 3. Give yourself plenty of time. Plan ahead and allow extra travel time. With more people on the roads over spring break, often driving in unfamiliar territory, the potential for auto crashes increases. Plan routes in advance when traveling to new destinations and be patient. 4. Pay attention to your speed. Observe speed limits, including lower speeds in work zones. Stay focused on the road and be aware of changing traffic patterns caused by construction. Be especially cautious around construction workers. They’re often working close to the highway and at great risk. 5. Beware of crash taxes. Although crash taxes have been banned or limited in several states, many cities, counties and fire districts will charge the at-fault driver for the emergency response costs of a crash. Fees can range from $100 to more than $2,000, and a typical insurance policy does not cover those costs. 6. Have a plan for roadside assistance. If you’re involved in a crash, beware of unscrupulous towing companies. Some towing companies take advantage of drivers after an accident by charging excessive fees and making it difficult for people to retrieve their cars. Have the phone number for your insurer or a roadside assistance program ready. 7. Update your proof of insurance. Before hitting the road, replace any expired insurance identification cards so you can provide current proof of insurance during a traffic stop.